I can’t decide what it is that makes the city romantic, or if it just seems more romantic than it is because social norms and anonymity encourage public displays of affection. Of course, there would be no shortage of legitimate qualities to make it legitimately romantic. There are the musicians on every corner playing love ballads, the pestering rose sellers who render the need for foresight obsolete, the sweeping vistas that transform a simple walk into a perfect date, or the crowded restaurants meant for parties of two. Because I am not with the one I love, I am tempted to be cynical about the suffocating sweetness of the atmosphere. But at heart, I can’t find any cynicism because I am a true romantic. I love love and it is everywhere. The other day I was walking back to a friend’s apartment and I saw this painted on a wall. It is math that I can understand. 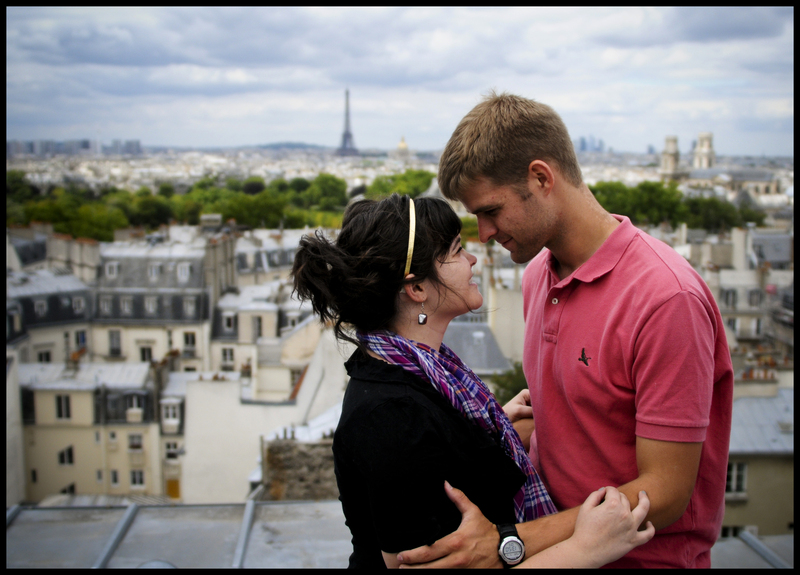 I was also visited this week by my friends Philip and Erin, whose wedding I photographed almost a year ago. Erin is a math and French teacher in Arizona and I think they value of this type of math, which far transcends academics. 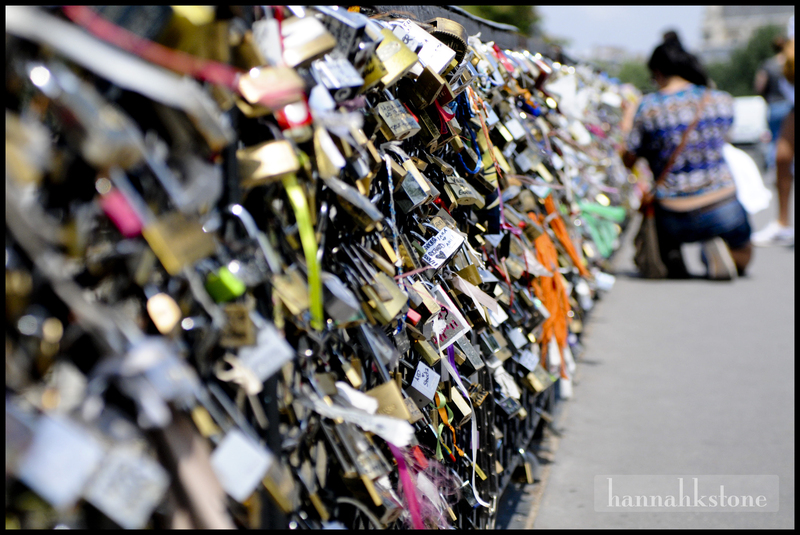 I wrote last year of the Pont des Arts, where those in love leave a monument to their time spent in Paris. With hopes and dreams they fix their love to this bridge as an eternal testament to an undying sentiment. My brother and his girlfriend were visiting me from England this past weekend and they too stopped and left a lock. But my own lock that I left a year ago is gone, which brings us to the misconceptions as to the true longevity of romantic symbols. I watched the other day as a maintenance crew worked to return the bridge to its original state. In an effort to combat the inevitable, people have taken great pains to procure locks of mammoth proportions, unable to be removed through normal means. What these hopefuls don’t realize is that they routinely remove entire sections of the bridge and replace them with fresh chain link panels – a clean slate for a new wave of starry-eyed romantics. Otherwise the bridge would like this stretch behind Notre Dame that is in desperate need of a few people to abstain from the lock tradition and instead just take a picture to immortalize the moment. 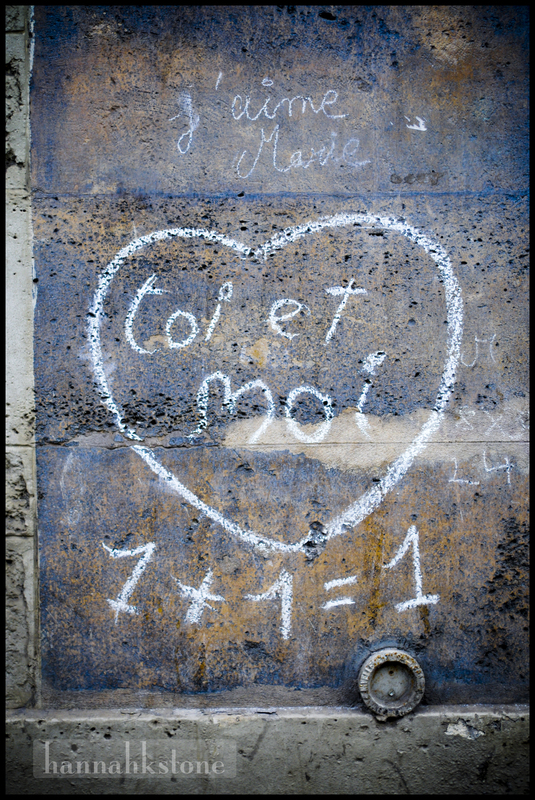 This entry was posted in Uncategorized and tagged beauty, France, love, math, Paris, travel. Bookmark the permalink. These are truly lovely photos! Will you send me the file of the photo of us in this post? And also your French games. And also all your love. Every time I visit Paris I am drawn to taking a million photos of those locks, I just love them! I also get that they can be an eyesore to the residents of a truly historical city. I think cleaning them out every once in awhile isn’t a bad thing. Maybe they need to start a “Daddy-Daughter Forever” fence!